Last weekend Drayton Hall participated in the Charleston History Fair at Magnolia Plantation, just next door. There was a great turnout from about 40 local history organizations including the Avery Research Center, Charlestown Landing, and the American College of the Building Arts. Drayton Hall participated under the banner of the Historic Ashley River Plantation District (H.A.R.P. ), a partnership launched this year with Magnolia Plantation & Gardens and Middleton Place. Overall attendance was high, with both local and out-of-town guests visiting the site to learn more about Charleston history. Exhibits ranged from information on 18th century plantation life, including rice, cotton, and indigo cultivation to the Phillip Simmons Foundation that had set up a forge to demonstrate iron working techniques. We used our Drayton Hall table to share information on the current and ongoing research projects that we are involved with, including investigating the 1765 watercolor painting of the house (pictured below), archaeology in the basement and efforts to stabilize the portico. We were able to meet many of our fellow Lowcountry history professionals and exchange ideas on research, exhibits, and general information about our sites, all the while expanding our knowledge about our partners. It was great to be able to educate visitors from near and far about Drayton Hall and recruit a number of them to visit us after the fair. 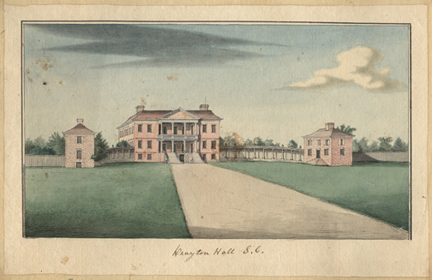 We were also pleased to run into many individuals who are already members of the Friends of Drayton Hall and could tell us how much they have enjoyed being a part of the site and learning about it through our Interiors newsletter. It was a great day to be out talking about Drayton Hall, meeting new friends, and reconnecting with others. We look forward to participating in many more Charleston History Fairs as they continue to be held in years to come. 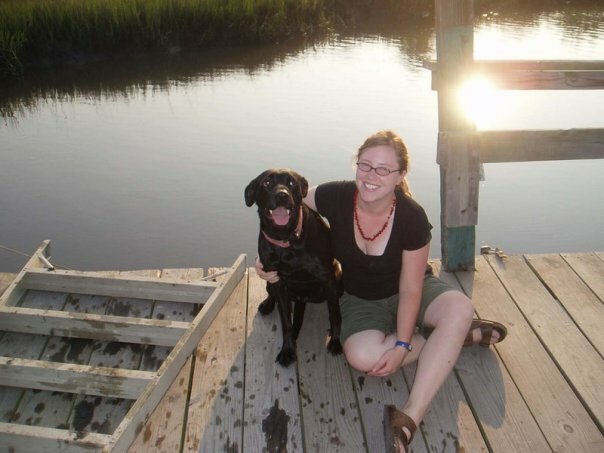 Betsy Kleinfelder has been an interpreter at Drayton Hall on and off since 2004. She has a BA in Historic Preservation from the College of Charleston and an MS in Historic Preservation from the University of Pennsylvania. She has also worked at Elfreth’s Alley in Philadelphia and the Hermann-Grimma and Gallier houses in New Orleans. Betsy is expecting her first baby at the end of July.